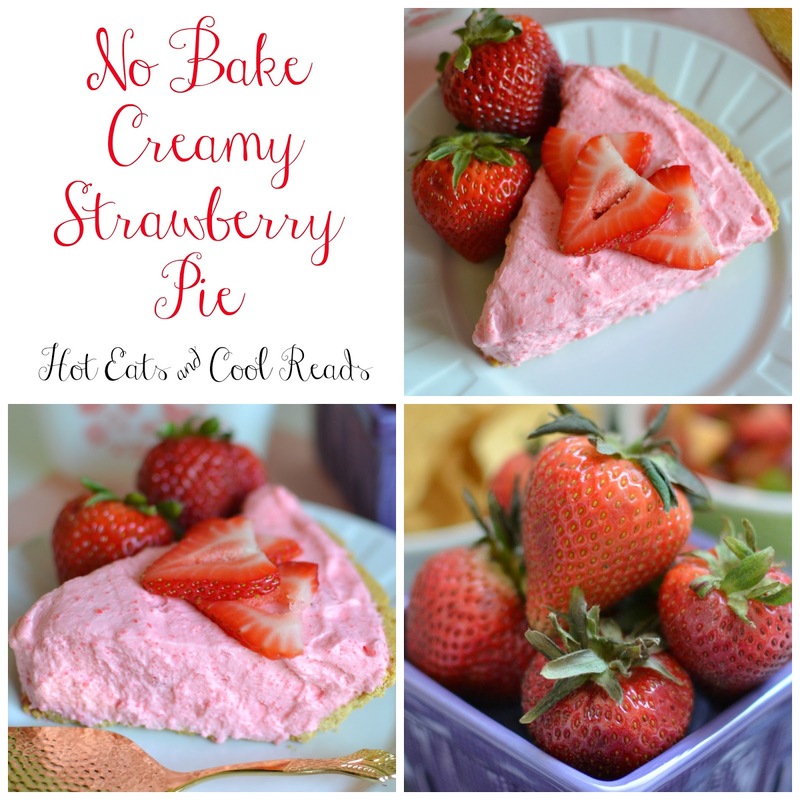 Hot Eats and Cool Reads: No Bake Creamy Strawberry Pie Recipe plus 9 Other No Bake Desserts! No Bake Creamy Strawberry Pie Recipe plus 9 Other No Bake Desserts! Perfect summertime dessert! Also great with peach, orange, raspberry, lime, lemon and cherry! Summer is my favorite foodie time of the year! We are HUGE berry lovers at our house, and the abundance of fresh garden berries is my idea of heaven! We especially love cherries and raspberries, but strawberries rank right up there with those two. I could seriously eat a whole bag of fresh bing cherries if I allowed myself too. Let's just say I'm a little on the broke side this time of year from buying so much great food! I'm sure alot of you can relate! We picked up our first carton of garden fresh strawberries last week and devoured them in no time. Today's recipe was made a couple weeks ago, and with store bought strawberries, but would be even better with fresh. This pie is pretty much to die for. Just sayin! 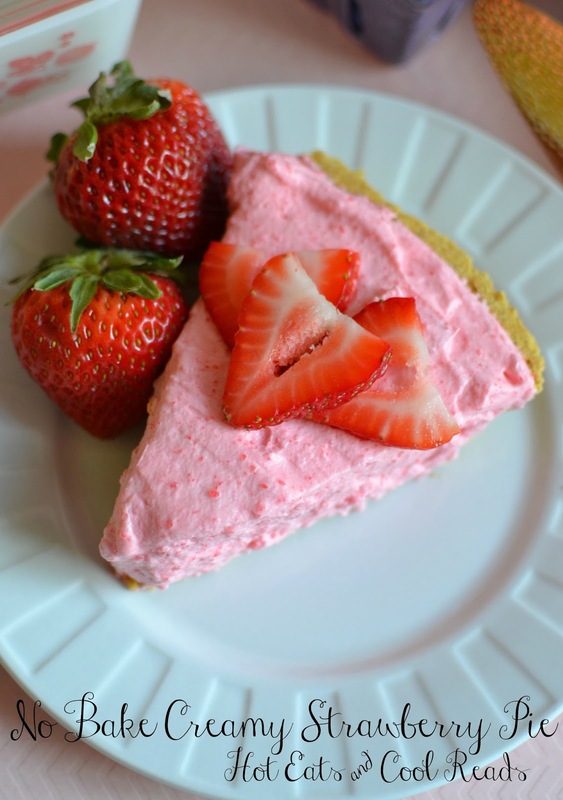 It's super easy and full of creamy, strawberry goodness! They are great for parties because it's easy enough to make up quite a few at a time, and it's also easy to make any different flavor you want! Or just make one and serve it for dessert with any meal! My 9 year old loved it, and I also sent some home with a friend and they loved it too! 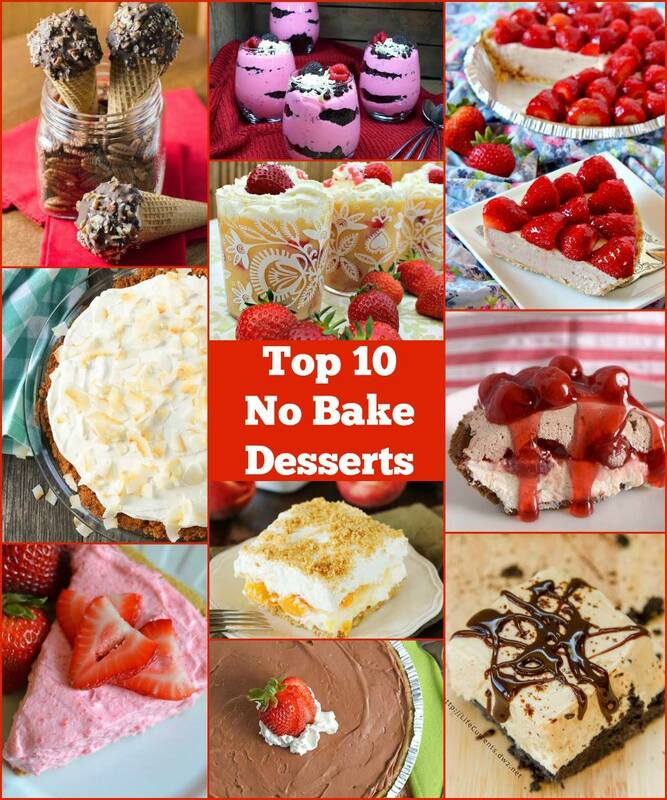 Not only do I have this amazing no bake recipe for you today, but I also have 9 more no bake recipes from some of my best blogging buddies for the 30 Day Recipe Challenge! Remember our previous 30 Day Recipe Challenges? I made Fresh Strawberry and Peach Salsa, Basil, Chicken and Hard Boiled Egg Macaroni Salad and Buttery Lemon Garlic Rice! Click on each of the recipe names to check them out! We skipped the month of May, but are back this month and the recipes are better than ever! You can find photos and links to their recipes at the end of my pie recipe! There is so much goodness going on there! Thanks for stopping by today and I hope you enjoy this recipe! 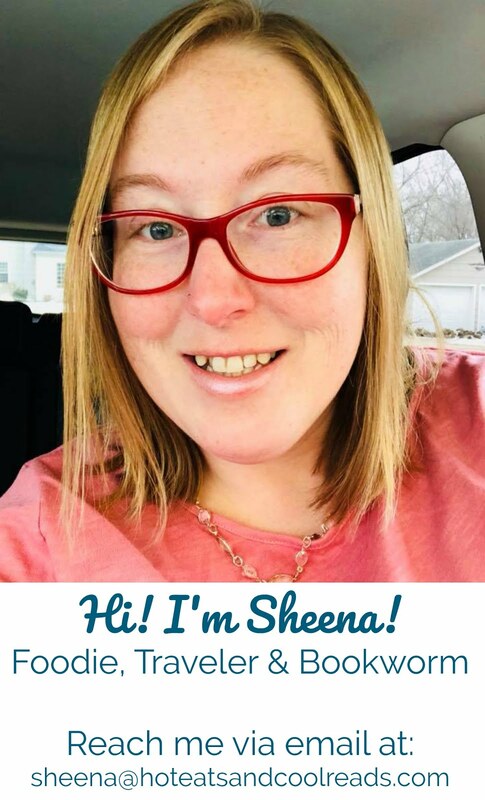 I appreciate all of you joining me on my recipe sharing journey here at Hot Eats and Cool Reads! In a large bowl, beat together whipping cream, powdered sugar and vanilla with an electric mixer until cream reaches stiff peaks. Set aside. Place water in a medium sized glass bowl. Heat for one minute, then immediately whisk in the jello. Whisk until dissolved. Stir in the yogurt until combined. Pour jello mixture and strawberries into whipped cream and gently fold until well combined. Pour into pie crust and refrigerate for 1 hour, until set. Serve with sliced strawberries on top. Oh my word! This looks so good and I think perfect to have at a BBQ too. I want to eat it all now! Woohoo! 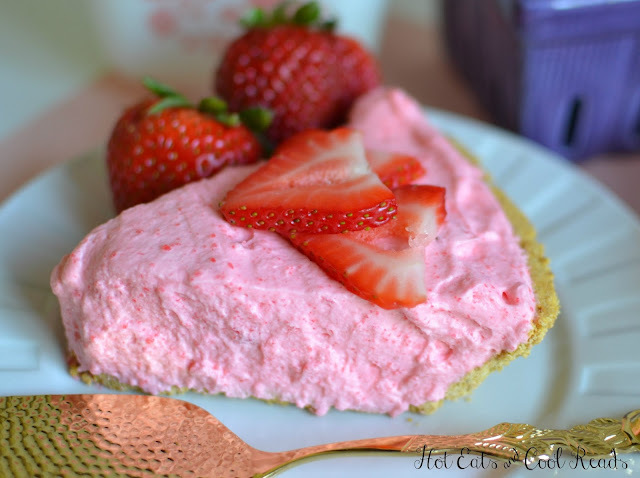 No bake and strawberry?! That is my kind of dessert for the summer! This looks so creamy and delicious. I can almost taste it just by looking at your pictures! I love that this is no bake...I hate to use my oven when it is so hot. I just recently got into no bake desserts! I would love a slice of that pie right now, how stunning!! We have so many berries in our fridge right now, and I'll bet this pie would be fantastic with any kind of berry. Wow, love how light, creamy and perfectly amazing this dessert it! 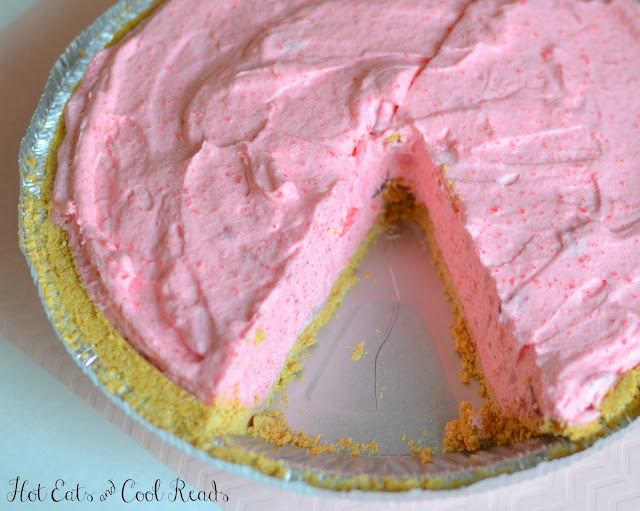 I'm going to be craving this pie for the rest of the day now! It looks so delicious and I love anything that's no bake! I love anything with strawberries and this looks positively delightful! Love the flavors! So creamy and delicious looking! That color! Me and my little princess will totally enjoy this creamy-licious pie!!! Such a pretty color! Looks delicious! Now that's a whole lotta strawberry goodness rolled into this one pie. It looks fabulous! My little girls would devour this, strawberries are their FAVE!! !